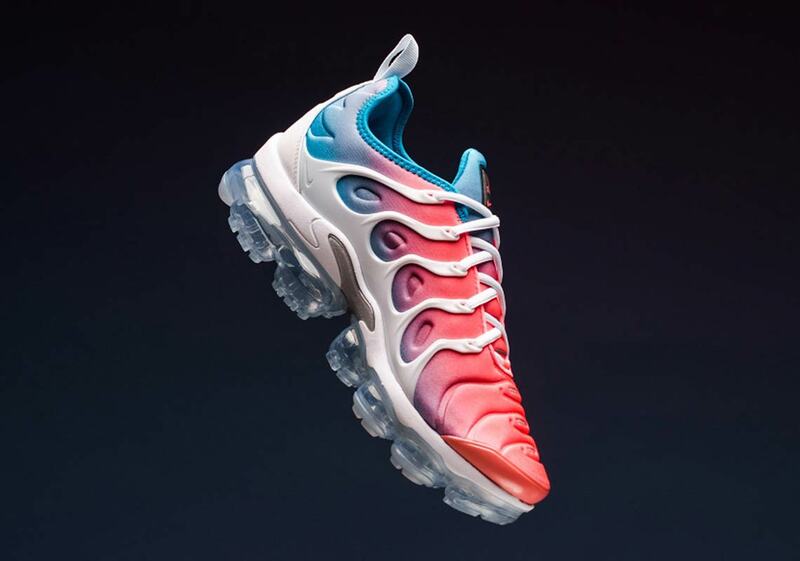 By combining the storied past and invigorating present of Nike’s beloved Air Max technology, the Vapormax Plus has made itself into an ultra-popular lifestyle silhouette — and now it’s dropping in a women’s only “Pink Sea” gradient. 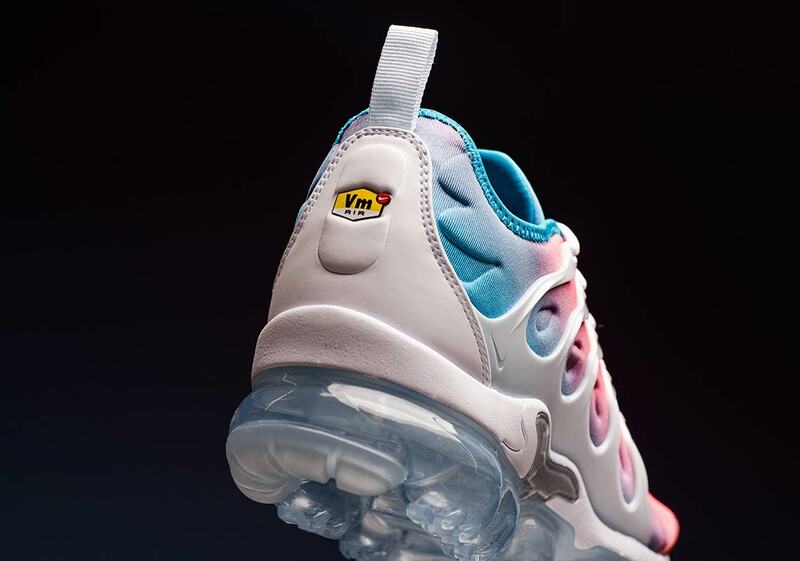 Similar to the bright fade that’s being used on an upcoming Air Max 720, this Vapormax Plus starts with a seashell-style reddish-pink on the toebox before giving way to a soft sky blue on the top of the tongue and heel. 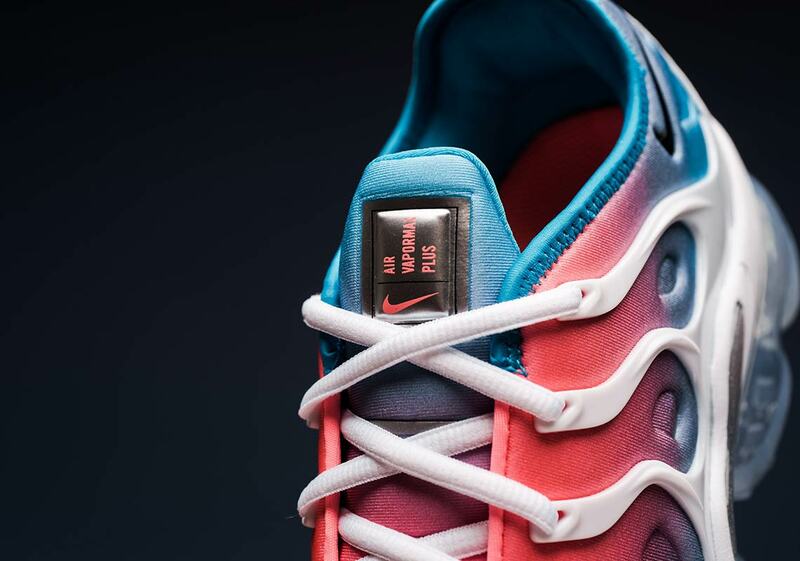 The shoe’s Air Max Plus-inspired plastic overlays are then dressed in a stark white for contrast. 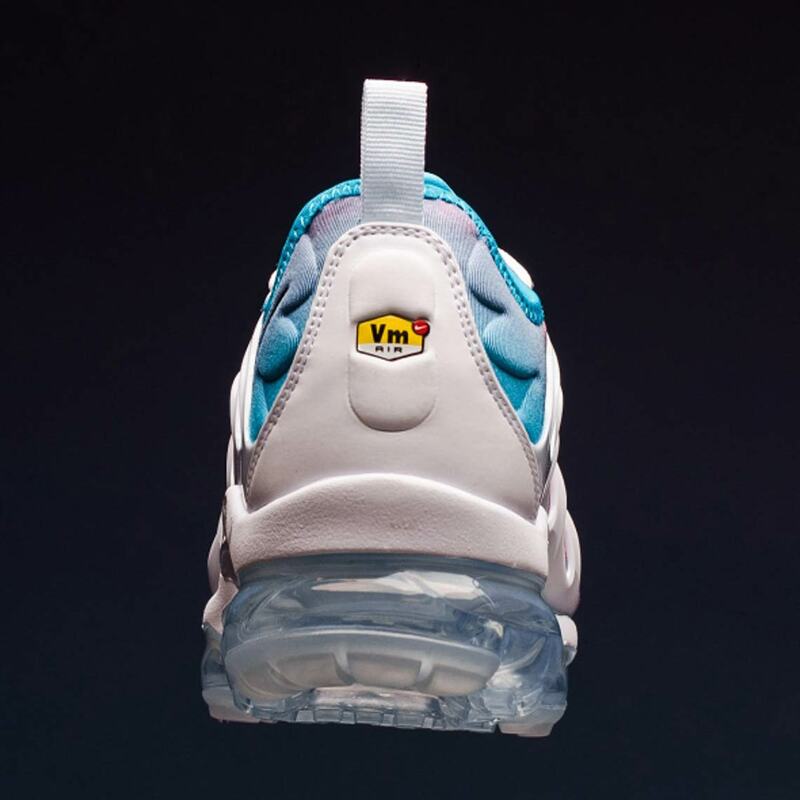 A white Cushlon midsole and crystal-clear Vapormax cushioning unit then arrive on the shoe’s lower half to offer exemplary comfort and finalize the look. 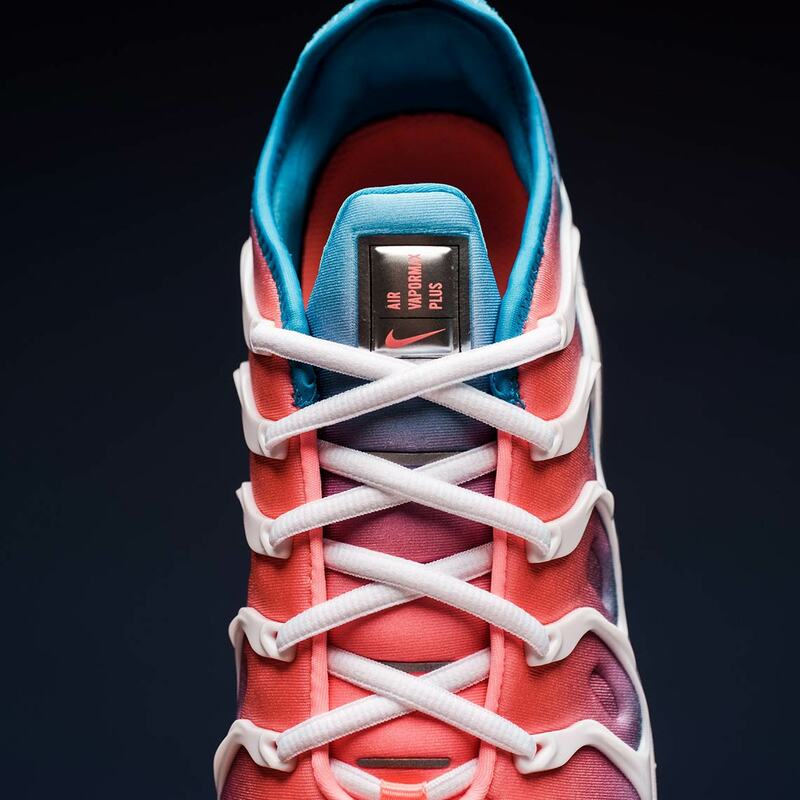 Take a glance at a detailed set of images below, and grab this ladies-only colorway now at select Swoosh Brand stockists like Sneaker Politics for $190 USD. 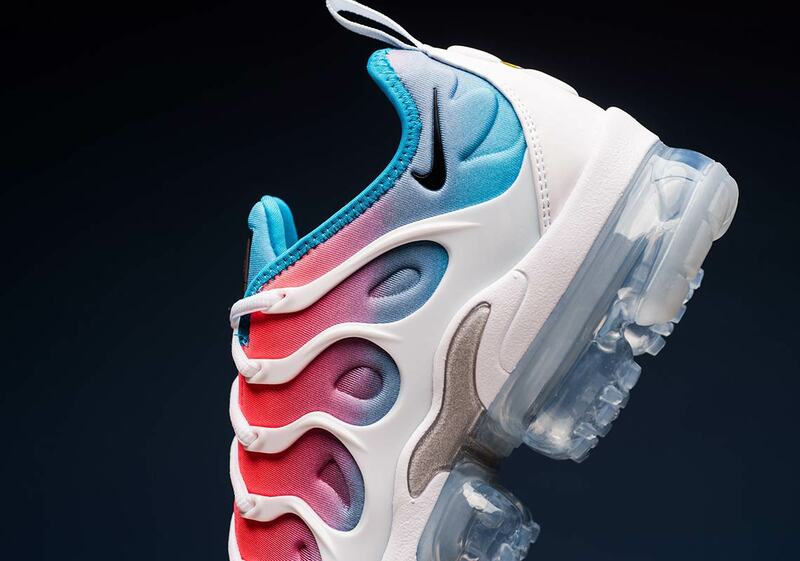 The post The “Pink Sea” Gradient Arrives On The Nike Vapormax Plus appeared first on Sneaker News.